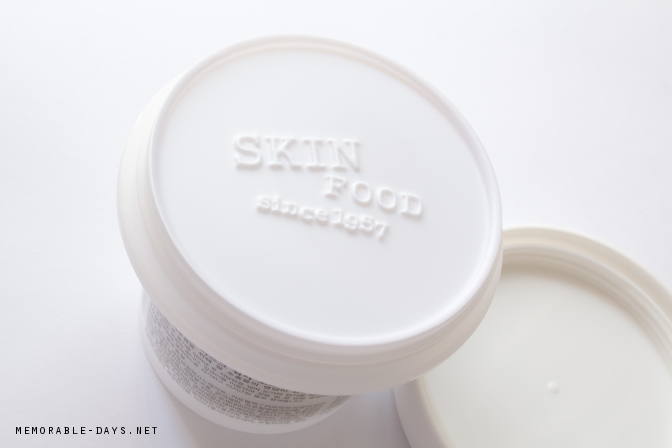 Review: Skinfood Rice Mask Wash Off | Memorable Days : Beauty Blog - Korean Beauty, European, American Product Reviews. 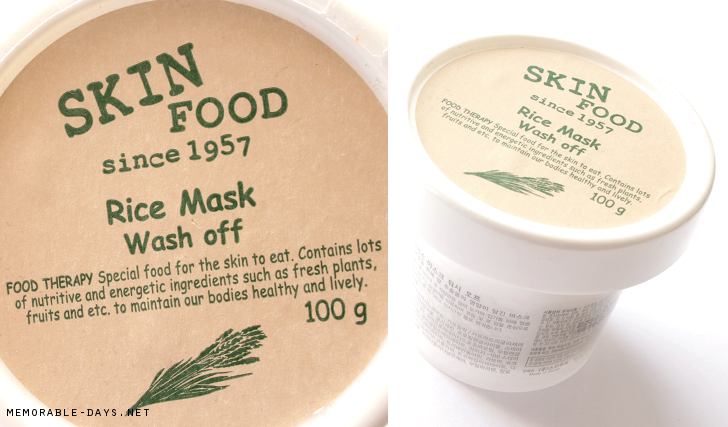 You've probably heard of Skinfood masks before since they are quite popular. It's not a new product but i can still remember when they first launched this which was a few years ago which is also the time when it became popular. I didn't buy this back then since i was extremely obsessed with sheet masks during that period. However, now i became in a period to try out different types of masks besides sheet masks. 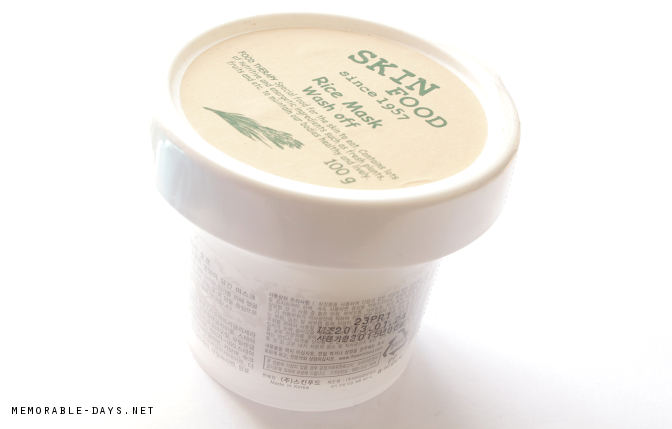 Today i'm going to review the rice mask wash off from the Korean brand Skinfood, continue with reading if you are interested. 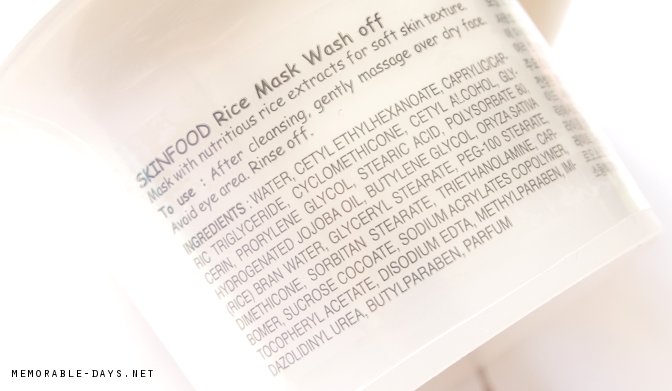 It's a mask with nutritious rice extracts which is meant to brighten, soften and moisturize the skin. I got it from this website called www.kawaiideluxe.nl which is a website that is selling Asian beauty products, wigs, circle lenses as well as snacks. They are based in The Netherlands and that's the reason why i like this site so much. There aren't many shops that is selling Asian beauty products in Holland. People outside The Netherlands can buy it from there as well since they ship worldwide (link to the product category). It has a tub packaging, it's from plastic, it's sturdy and it has sticker labels. Just twist the cap open and you will see the inner lid. I was disappointed that there was no spatula though =(. It was practically filled to the rim when I got it. After cleansing, gently massage over a dry face. Avoid the eye area and rinse it off with luke warm water after 10-15 minutes. I use this mask 2 times per week. The color of the product is white and it smells just like the standard Nivea body lotion. It has a pleasant light clean scent, which is totally not overwhelming. There are small rice bits in this mask which are visible in the pictures below too. The mask also spreads very easily, but because of its grainy texture, it doesn’t spread evenly. The texture is a bit like congee to me. The amount that you see below, is only for one side of my face. I normally use this amount x3 for my whole face. After 15 minutes it will look like this (see picture below). My skin absorbed the product and the small rice bits. Some rice bits are still visible as you can see. I massage it on my whole face. Because of the rice bits it exfoliates a bit, it's not harsh but very very gentle. It also gives a bit of a cooling effect which feels very relaxing. As it sits on my face, it feels decently moisturizing, especially as time goes on. The product just absorbs into my skin. After 15 minutes, it will leave a shine-y and a little bit of a sticky finish and i still saw some rice bits on my face. I washed the mask off and my skin felt extremely soft like baby cheeks! I totally loved the softness ^^! BRIGHTENING: I could see a little bit of a brightening effect but it's not very noticeable. MOISTURIZING: It didn't feel extremely moist like after using a sheet mask, it didn't feel dry either, but it just felt moist - how your normal skin should feel lol (hard to describe). 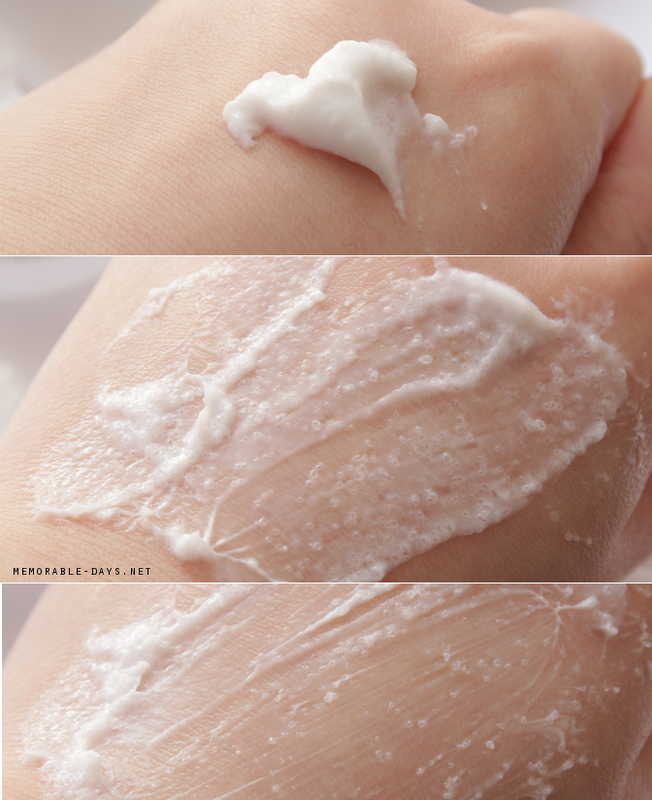 SOFTENING: My skin felt very soft after I washed it off, totally love that feeling! It's a nice mask which makes your skin feel VERY soft. 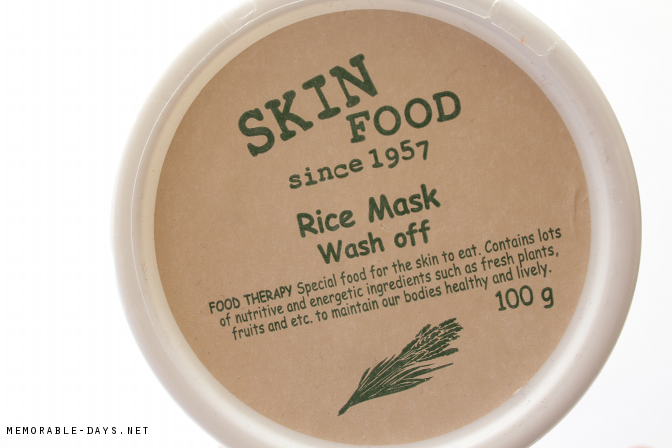 It's actually the first time that i've seen a mask with rice bits and i like that it has a mild exfoliation. 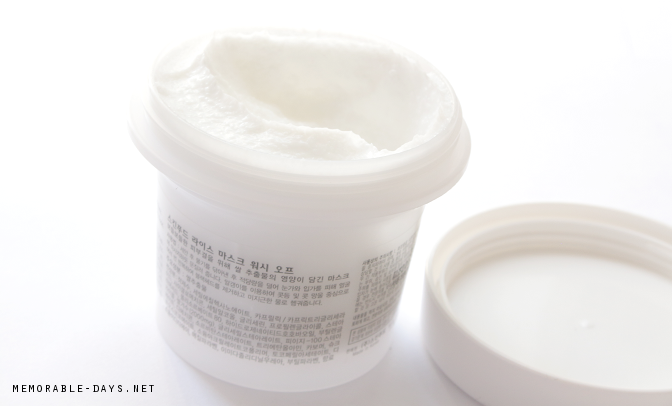 The scent is pleasant, it is easy to spread, the cooling effect is very relaxing and i think it will feel even better during Summer ^^! I just love it that it feels so soothing on the skin! The downside of the mask is the packaging, it would be more hygienic if they added a spatula. Also, the brightening effect wasn't very obvious on my skin. Make sure to visit www.kawaiideluxe.nl to check out their assortment!